In fact, the bronze sword has matching sheath. Because sheathes are mostly made of wood, silk, leather, it is difficult to preserve. 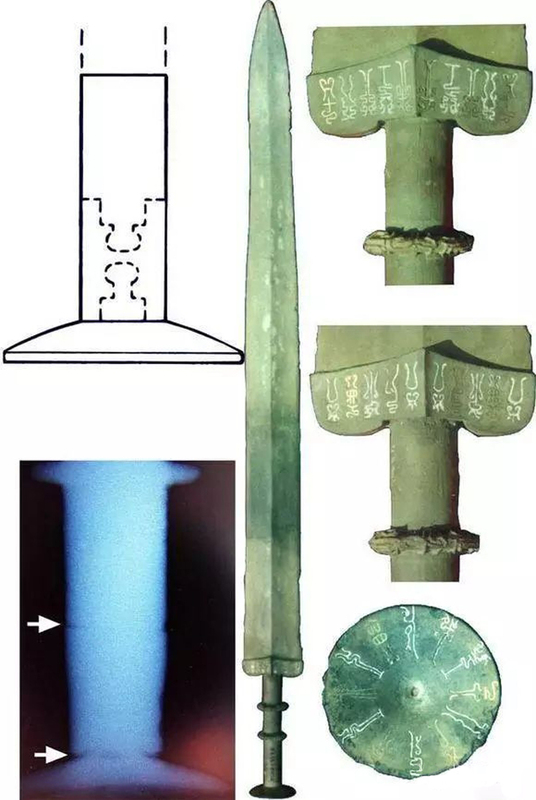 While some metal scabbards (such as gold and copper) are completely preserved, as shown in the figure. Common misunderstanding 2: Only one or no brass hoops are on the hilt. 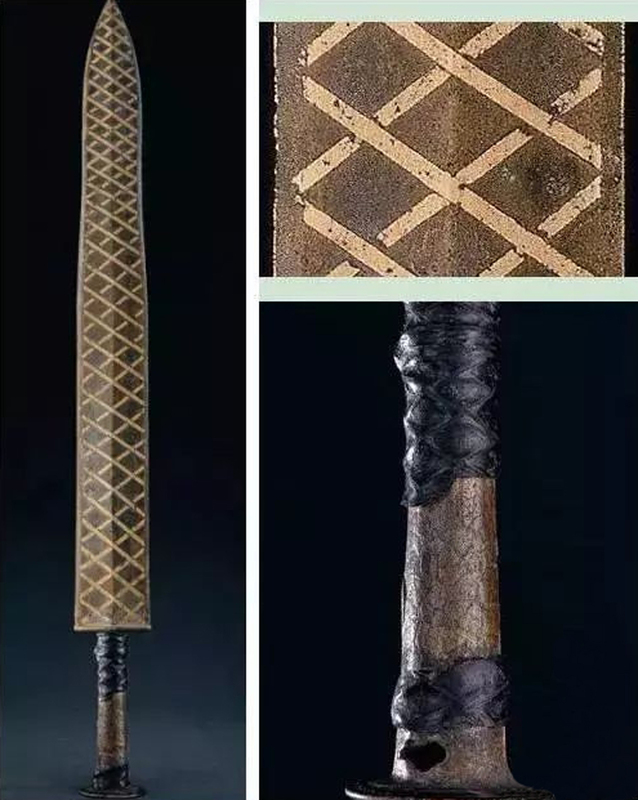 In fact, the hilt is always wrapped up in order to better to hold the bronze sword. This is because cotton, hemp, silk, wool, and leather are difficult to preserve. 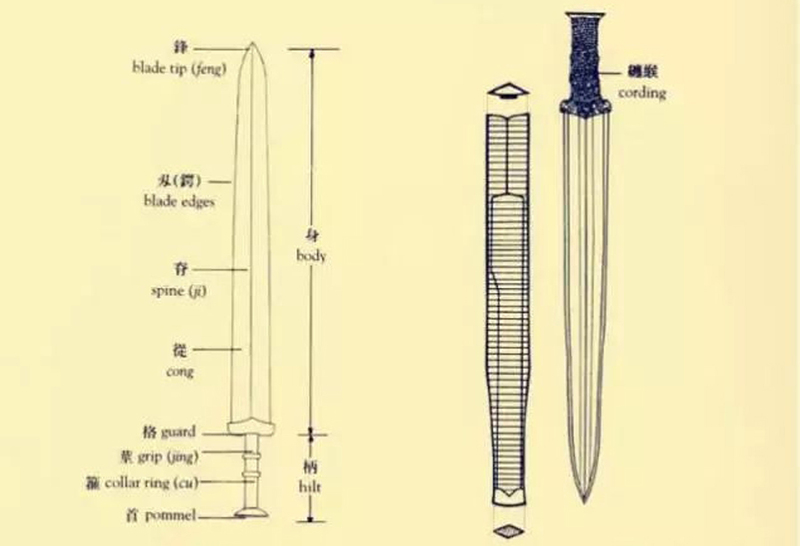 Common misunderstanding 3: The shape of bronze sword. 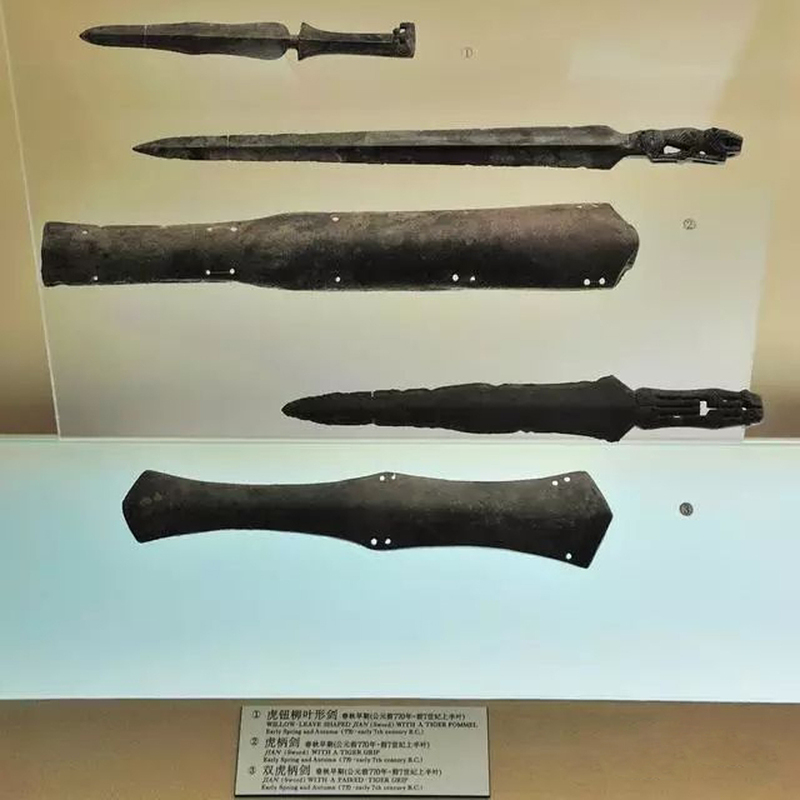 Common misunderstanding 4: The hardness of bronze sword is very high. 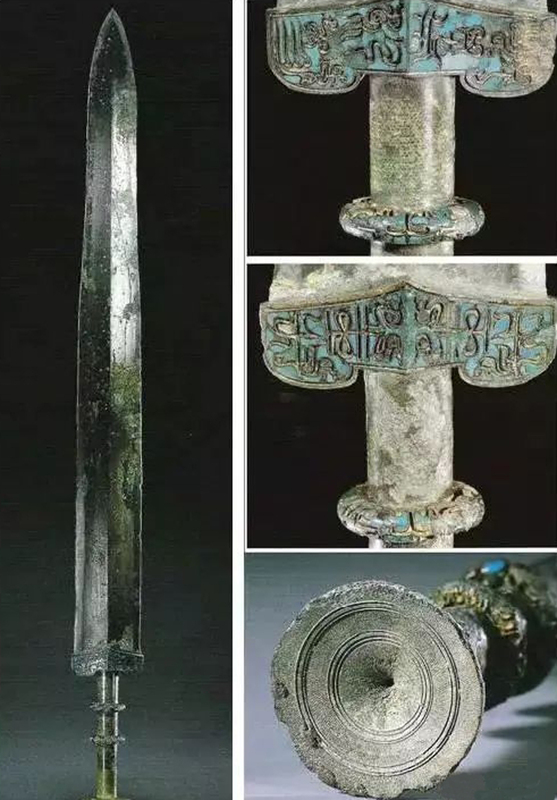 The bronze sword is a weapon often used in ancient Chinese wars. It is usually made by smelting copper and tin alloys. In the Bronze Age, the key to forge a sword was how much tin was added to the copper during smelting. The sword is too soft with less tin; the sword is hard and easy to break with too much tin. 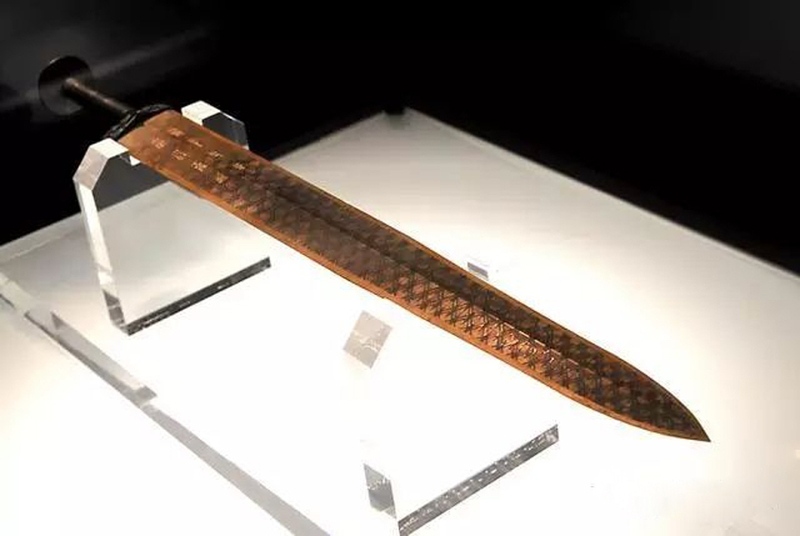 Therefore, the blade edge is usually made of bronze with higher tin content, and blade spine is made of bronze with lower tin content.